RAIC’s first ever Indigenous Architecture and Design Symposium was held on Saturday, May 27, 2017 in Ottawa in conjunction with the RAIC/OAA annual Festival of Architecture. While Indigenous elements were a part of the main Festival and delegate program, the one-day Symposium focused solely on Indigenous issues from a diversity of perspectives through a variety of mechanisms. The Symposium is a project of RAIC’s newly-formed Indigenous Task Force which was officially launched on June 9, 2016 in Nanaimo, BC (Snuneymuxw territory) during the 2016 Festival of Architecture. The new RAIC Indigenous Task Force is comprised largely of Indigenous architects and intern architects. Its core purpose is to foster and promote Indigenous design in Canada in rural, Métis and Northern communities, First Nations, and in urban spaces and advocacy with and on behalf of Indigenous communities. Task Force members believe strongly that Architecture is a public-spirited profession with an important role in Reconciliation – addressing injustices through giving agency back to Indigenous people. “……we need designers and designs that can create long-term relevance, exemplify a respectful cultural and economic and environmental responsibility to sustainable development, and consider the reciprocal well-being and quality of life of the people.” Dr. Patrick Stewart, MRAIC and Chair, RAIC Indigenous Task Force. To plan the Symposium, the Indigenous Task Force has formed a Working Group which has defined the Symposium objectives: building the Indigenous Task Force network; increasing its public profile; and featuring key topics of interest. Preliminary discussions show the potential for delegates including architects and allied design and building professionals, as well as students and interns to focus on successful practices and processes and on celebrating Indigenous design. To the extent possible Indigenous architects from New Zealand, Australia and the USA will also be invited to share their experience inbuilding their networks and promoting Indigenous architecture and design in their home countries. 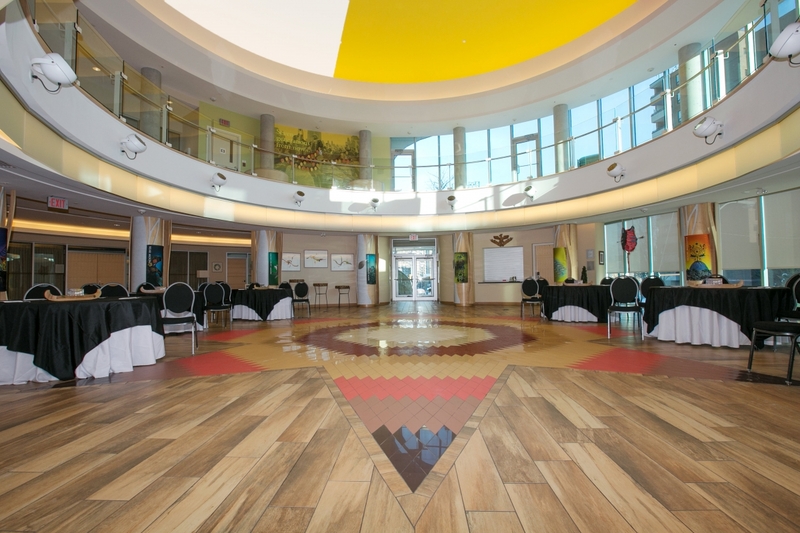 An estimated 100 delegates will gather at The Wabano Centre, a beautiful and culturally appropriate place to undertake this important and ground-breaking Symposium.